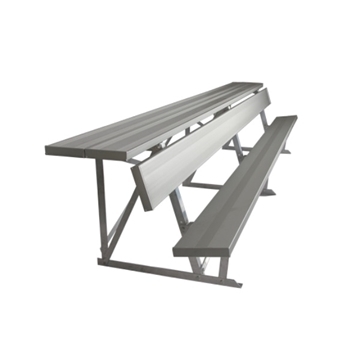 Our lightweight commercial aluminum benches are designed to withstand public use for years to come, perfect for parks, sporting fields, and swimming clubs nationwide. Crafted from heavy-duty materials such as anodized aluminum to make up the backs and seats, with frames made from sturdy galvanized steel. Different mounting options are available for your convenience such as portable, in-ground, or surface mounting. These benches are provided with a 1-year commercial warranty and proudly constructed in the USA. 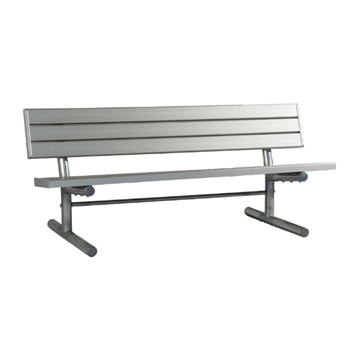 Our aluminum outdoor benches are much lighter in weight compared to other public benches, cutting down on shipping costs. 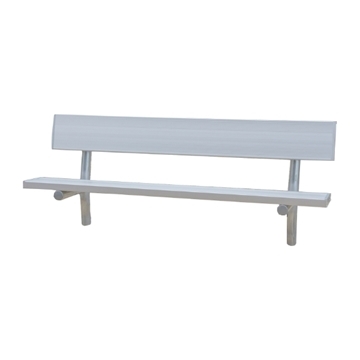 Our benches work great for locker rooms, soccer fields, parks, and playgrounds. Call our friendly staff to find out how to stay in your budget by bundling sales with outdoor commercial furniture such as aluminum benches, trash receptacles, picnic tables, and bike racks.